NO! You don't leave your SHOES behind at a time like that!! Oh, dear. 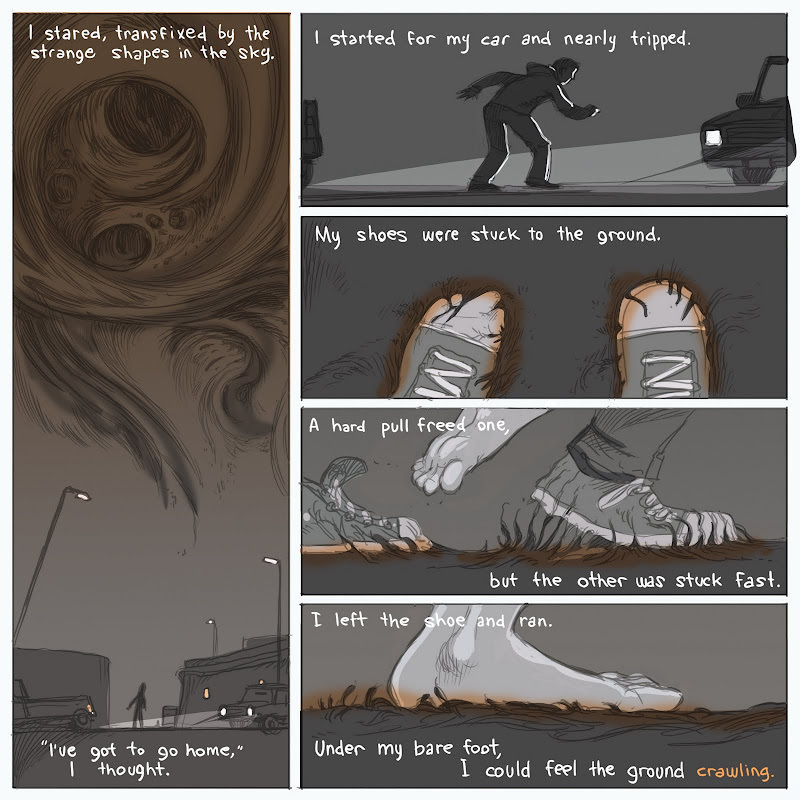 I expected to (after reading this comic) be afraid of Taco Bells and drive thrus for the rest of my life, but now I'm afraid of the GROUND. Is this going to be a Cinderella story? I love the vines coming out of the ground! And the sky. This is art.